← 78. Craggan. 22 June 2018. Possibly the best located Scottish golf course, with evidence that James Braid’s bunkering came pretty cheap! “The Black Isle?” Well, it’s not an isle and it’s not particularly black! 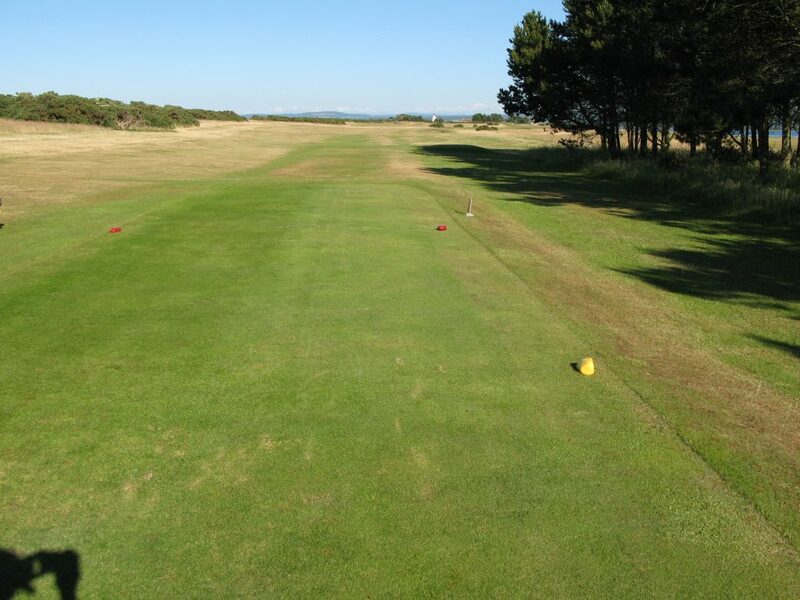 But it is a 10 mile wide by 20 mile long peninsular just north of Inverness, which also has a further very small peninsular on it’s southern Moray Firth coastline which is the heavenly location of Fortrose & Rosemarkie golf course. The 9th green looking back to the tee with the Moray and Beauly Firths in the background. Scots sometimes refer (tongue in cheek) to being “from God’s own country”. If that were the case, it might just be that God chose the Fortrose & Rosemarkie peninsular for his (or her!) own personal golf course. I played the course on a wonderfully warm and sunny late midsummer evening for a twilight fee of only £30, shot 39 (4 over) on the back 9, including 2 birdies, and seriously thought that maybe I should just stop played with that golfing memory etched on my brain. It really can’t get much better…can it? 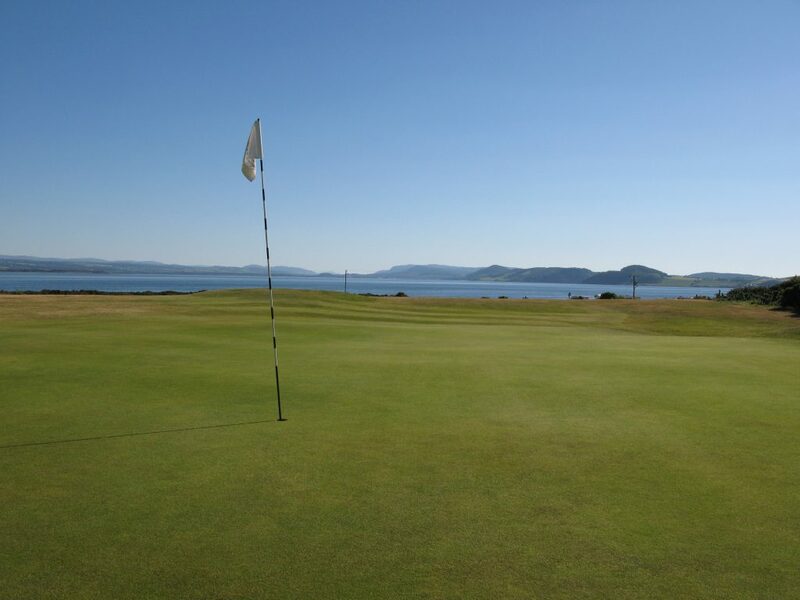 The Black Isle has recently become a popular destination with the creation of the North Coast 500 but has long been a destination to play some of the cream of Scottish Links, with Royal Dornoch, Nairn and Tain all close by, plus the recent addition of Castle Stuart. 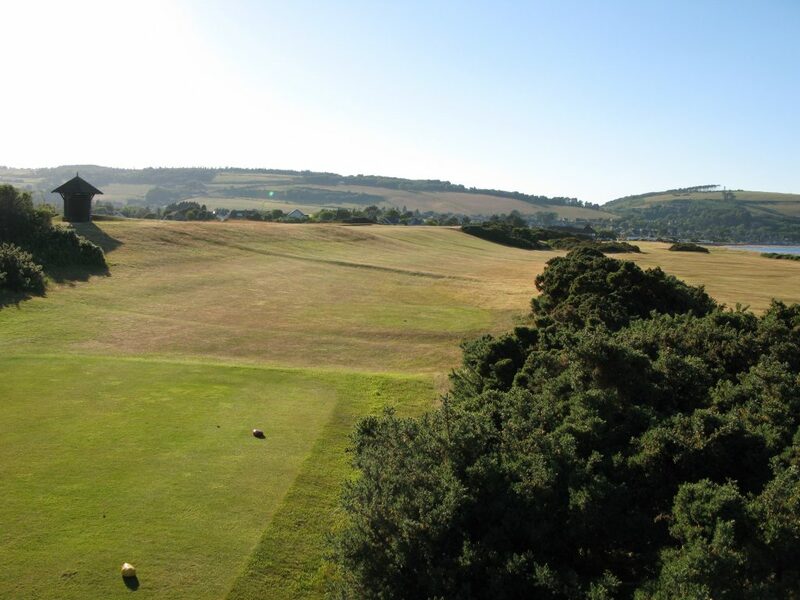 Fortrose & Rosemarkie has actually been attracting golfing visitors in high numbers since the expansion of the railways in the late 19th century and golf in the course location is traceable back to 1702. Established in 1793, is the Club is the 15th oldest in the world, of which they are very proud. The 11th tee, which is one of several arguably bland holes around the turn at Fortrose and Rosemarkie. The course is quite short, at only 5893 yards from white tees and 5594 yards from yellow tees which I used. It is essentially 2 horseshoe loops with the outer loop played clockwise with sea (only in play at a few holes) on your left , then an inner smaller loop played in opposite direction. The difficulty will be dominated by the weather, but the bunkering and greens are tricky and provide protection when the wind is down. Originally a 9 hole layout, it was extended to 18 in 1924 and in both 1932 and 1934 James Braid was engaged to advise on layout and bunkering – his 1934 fee was £12.10/ which ended in the course in its current layout. That is only about £1000 in current value! The 17th at Fortrose & Rosemarkie; play left to ensure reaching to the plateau fairway. 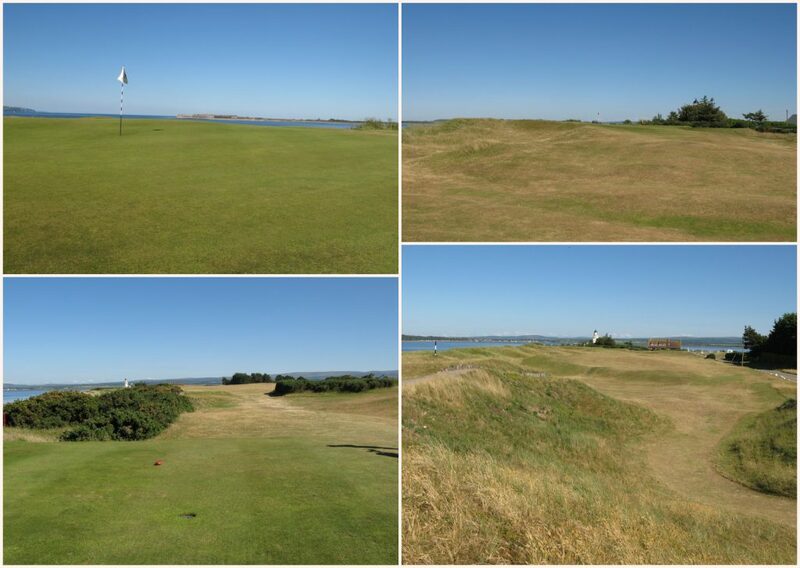 There are some majestic holes, most notably the long par 4 4th, played towards the lighthouse at Chanonry Point, which protects the small channel through the Moray Firth towards Inverness, which is a popular viewpoint to see the many dolphins which inhabit the area. I have spoken to people who have played the course many times and never parred the 4th. 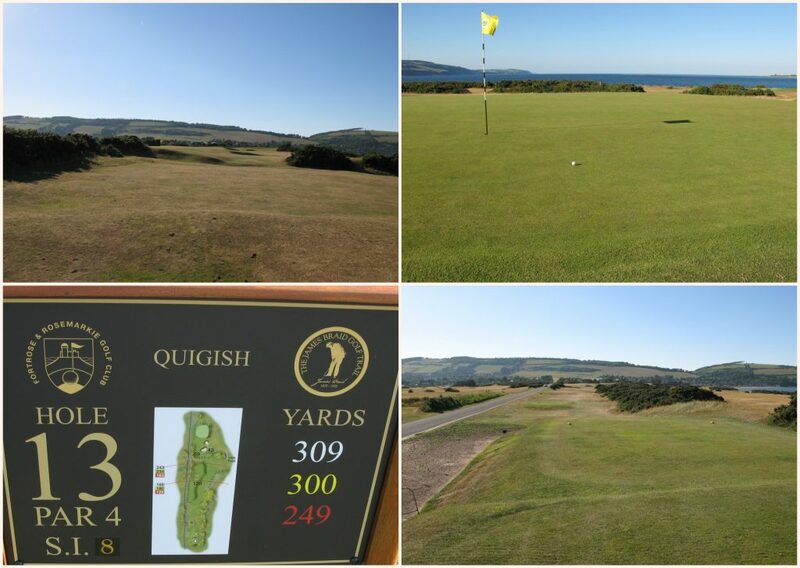 Mission Impossible – the long par 4 4th hole at Fortrose and Rosemarkie, with Lighthouse and Fort George in view. The 13th is also a great example of visible links architecture and Braid’s bunkers. A hole with many options from the tee box. The 13th – a magnificent short par 4. The course was in all round excellent condition when I played and the club are happy for visitors to use any of the tee boxes. In the benign conditions I shot gross 84 (net 2 under), including 4 double bogies – inevitably one of these was at the 4th!. This is a must play course, with a twilight fee at only £30 being especially great value. 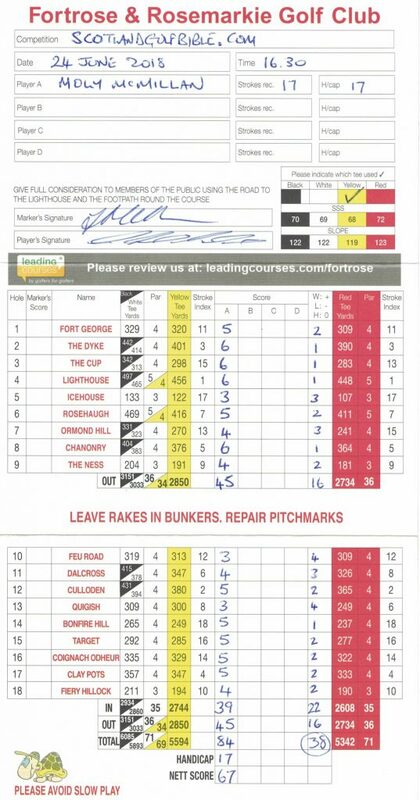 Moly’s scorecard – 84 with only 39 on the back 9. This entry was posted in 18 holes, 4 star, 4.5 star, Before 1850, Course Architech, Course Owned By, Course Quality, Course Type, Holes, James Braid, Links, Members, Overall Value, Price, Region, The Highlands, £40 - £59. Bookmark the permalink.